And the years grows brighter. Happy birthday for a great year and many illuminating ones ahead. It definitely is going brighter after 50. Happy birthday to you!! Happy birthday! Enjoy your experience! Happy Birthday, Jamie! Hope it was grand. 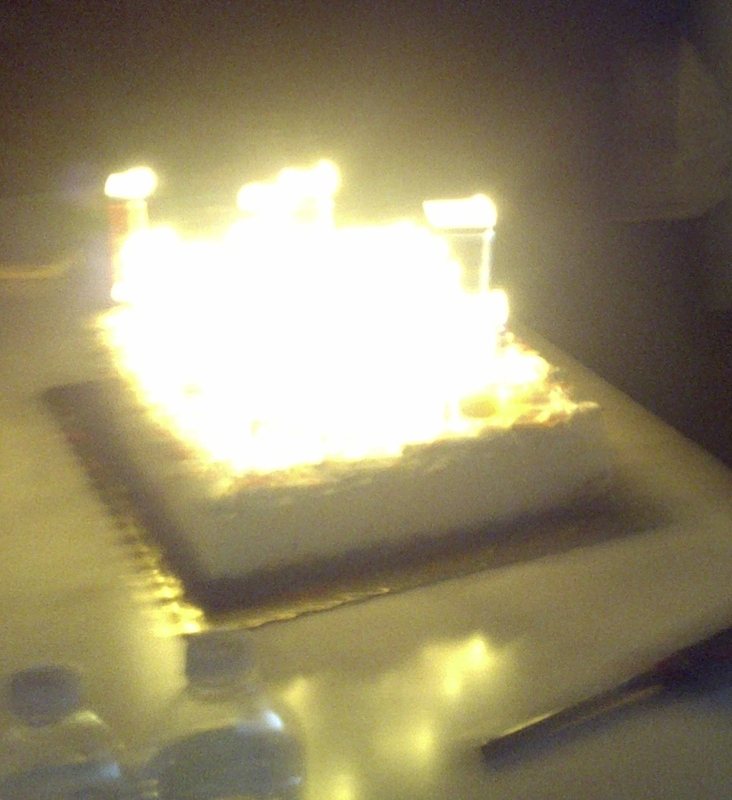 I have never seen 50 candles on a birthday cake before. I thought that once you hit the legal drinking age you used one candle for every decade. So the most I’ve ever seen is 21 candles. A first glance I thuought the cake was on fire 🙂 My thinking is the older you get, the more candles you need – the bigger the cake must be! But them I’m always looking for an excuse for more cake. Great pic for the theme.